In 2006, a group of scientists in a small research lab in the corner of Seattle Children’s Hospital asked Sellen’s leadership team to take a chance on them. Now, 10 years later, that “chance” has grown into a local and globally focused organization that leads the way in research of preterm births and stillbirths, which are the leading causes of death and disability for children under age 5. GAPPS, the Global Alliance to Prevent Prematurity and Stillbirth, was officially founded in 2007 with major funding from Sellen and the mission to reduce childhood death and disability by preventing prematurity and stillbirth. Having just marked its 10-year anniversary, its goals have remained the same: to research the causes of prematurity and stillbirth, assess the best interventions for preventing and providing care for early births, and raise awareness of these critical issues. Prematurity and stillbirth are often not discussed, despite their significant impact and cost to families and communities. In turn, this prevents the understanding of maternal and infant mortality issues, and hampers the ability to improve and save lives. From its inception, GAPPS has worked with groups such as Stillborn Still Loved, a Seattle Children’s hospital guild, to overcome the stigma and increase awareness of this issue, family by family. Several of its ongoing programs have also contributed to opening up discussion of this important topic. Dr. Rubens, a leader in the field for more than 30 years, originally met with Sellen leadership in 2006 to discuss this new research project. An executive team toured the research lab to learn more. Sellen decided to fund the program, pledging a five-year, unrestricted gift to support ongoing development. GAPPS founders chose to take an innovative and integrated approach to their work. By placing collaboration at the center of the program’s mission, they have been able to share resources and extend their reach, gathering vital research from around the world. Dr. Rubens also credits the unrestricted Sellen support that came early in the program. 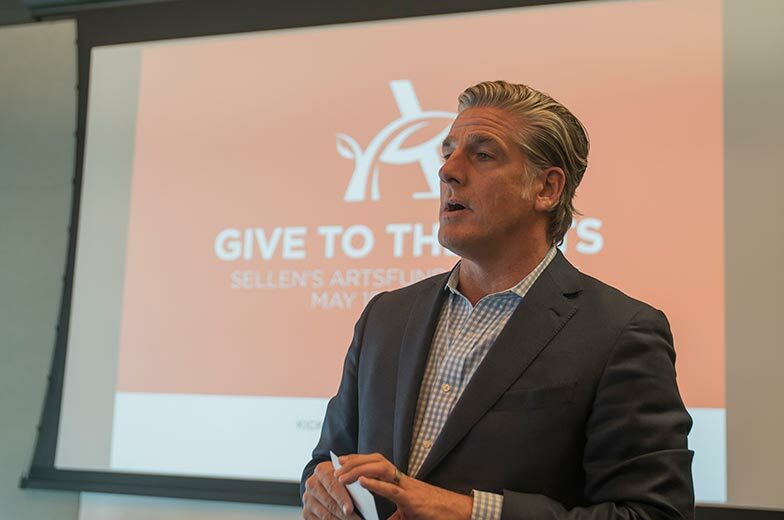 Since Sellen’s initial investment, the program has received substantial support from Dr. Tom Hansen, former Seattle Children’s CEO; Seattle Children’s Hospital; Bill & Melinda Gates Foundation; USAID; March of Dimes; and other collaborative partnerships. It has grown from a small research team to a leading global health pioneer. GAPPS became an independent non-profit organization this summer. With continued support from Seattle Children’s, the founding board is working on groundbreaking worldwide projects, such as the GAPPS Repository, Every Preemie and Preventing Preterm Birth, while it continues to build dynamic partnerships that will increase the resources needed to save the lives of more women and children worldwide. This year also marks the launch of Healthy Pregnancy 2030, a multi-organization initiative that aims to cut the number of preterm births globally in half by 2030. Visit GAPPS website to learn more.